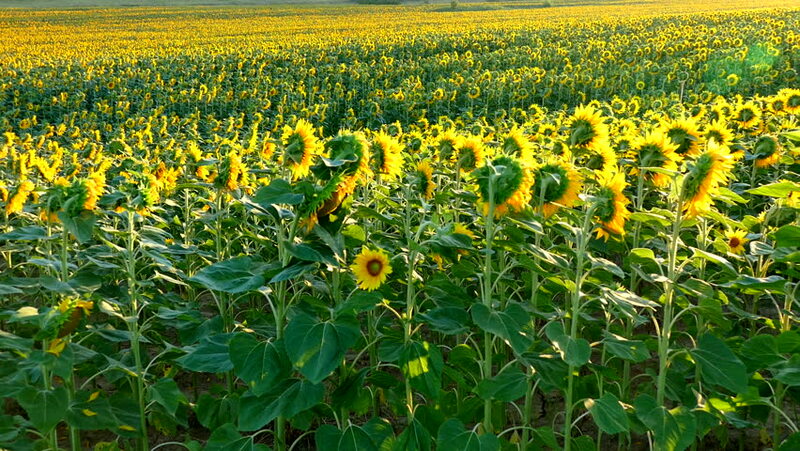 hd00:13Sunflower crop in farm land. Agriculture. Food industry. Oil product.